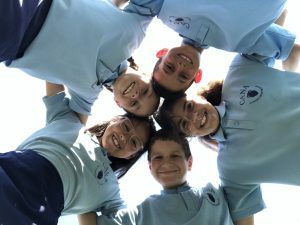 At Cana Catholic Primary School we are committed to the care, safety and wellbeing of all children. Wellbeing refers to students’ physical, social, spiritual and emotional development. At Cana Primary School we aim to provide an environment that enables every student to feel happy, safe, engaged and accepted at school. At Cana Primary School we place a great emphasis on encouraging each child to develop self-discipline and a sense of caring for others. This means a life of discipline based on Gospel teachings of responsibility, respect, truth, fairness and reconciliation. Every staff member and the rest of our school community in our day-to-day dealings promote these teachings with our children. Social and Emotional learning is central to all we do. In order to build the capacity within each child we have developed “7 Cana Characteristics of an Effective Learner” which aim to develop the skills to recognise and manage emotions, develop caring and concern for others, establish positive relationships, make responsible decisions and handle challenging situations effectively.